Your #1 Online Source for Church Podiums! Welcome to ChurchPodiumsForSale.com! We are glad that you have taken the time to view the Church Podiums on our website. We offer a wide selection of Contemproary Church Podiums with matching Communion Tables as wells as the more Traditional Wooden Church Pulpits. We also offer custom designed church podiums. If you have a design in mind we can make it happen! All of our podiums are American Made and we are extremely proud of it. 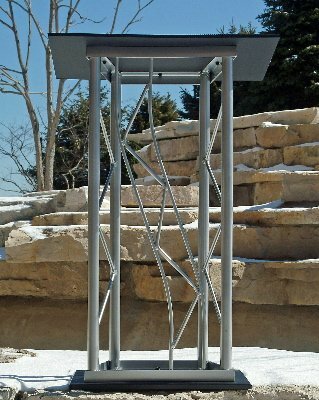 We believe we have assembled a line of church podiums that are extremely well built and affordable. If you have questions about any of the podiums on the site please feel free to contact us by email or phone at 800-736-3113 and we will be glad to assist you! We look forward to hearing from you!